PostSecret founder Frank Warren will speak at American University on Monday, Feb. 22 to talk about the community art project. PostSecret is an online blog where people are invited to share their secrets, anonymously, by sending in postcards. The campaign was started ten years ago and has become a worldwide phenomenon. The event, which will take place in MGC University Club at 8:15 p.m., is part of an effort by the Kennedy Political Union (KPU) and American University’s Student Government (AUSG) to make AU’s campus a safe place to have conversations on mental health. Student Body President Sasha Gilthorpe has devoted her time in office working on this issue by appointing Mary-Margaret Koch as Executive Director of Mental Health to deal specifically with this issue, a first in the history of AU student government. Koch has spent the year working on initiatives to not only raise awareness but also to encourage students to help one another with mental health issues, regardless of university resources. By partnering with KPU, AUSG hopes to bring in speakers that represent students’ passions. Koch suggested Warren as a speaker because she believed PostSecret, especially with its worldwide following, would encourage people to have more conversations about mental health. Koch spent last semester working on a research project with the AU Counseling Center and found that the center can only do so much to internally deal with these issues. Beyond the center, students and student groups need to have conversations on mental health, according to Koch. “A lot of those [initiatives] focus on ways to create more of a sense of community and foster resilience among students, because ideally you want to create a culture where not everyone is needing to go to the counseling center,” Koch said. AU Director of the Counseling Center Traci Callandrillo also believes that mental health discourse needs to be more prominent at AU, especially regarding how students deal with their problems. Callandrillo believes PostSecret will inspire others to share their stories and continue mental health conversations. “Anyone could have written any postcard,” Callandrillo said. In the past five years there has been a national shift from depression to anxiety being the top issue among college students. Due to this shift, the Counseling Center has added urgent care hours to aid students have trouble. During these hours, any student can walk into the center and talk to a counselor without having an appointment. However, the center is limited by the amount of funding it receives from AU. Since this is not a budget year, the center is forced to work within the constraints of their current budget. According to Koch, the secret to Warren’s success may be in the limited amount of energy it requires. Unlike talking to a counselor, which is usually an hour long appointment, writing down a secret only takes a minute or two. 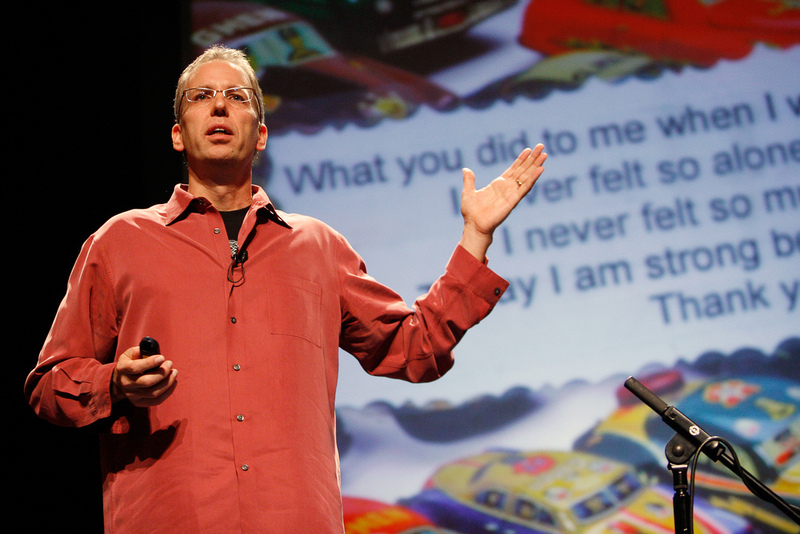 Warren’s visit will be the kickoff to PostSecret at AU, which will take place throughout March. AUSG is planning to distribute 2000 postcards throughout the next month, and they will be displayed on March 21. The hope is that PostSecret will create a space at AU where students feel comfortable talking about their issues. “It’s not just Frank speaking, that’s Monday night, be we’ll continue on [having these conversations] throughout the month of March and throughout the rest of the semester” Koch said.